CHICAGO (WLS) -- Something new is coming to a Jewel-Osco near you. Chicago Cubs first baseman Anthony Rizzo will be adorning boxes of aluminum foil. Fans can purchase Rizzo Wrap at their local Jewel-Osco. Reynolds Wrap is based in Lake County and the company wanted to do something to celebrate the Cubs winning the World Series. Rizzo Wrap will hit store shelves June 5 and their supplies are limited. The item will be available in all Chicagoland stores. According to the company, the idea was started by a bet made by Rizzo. 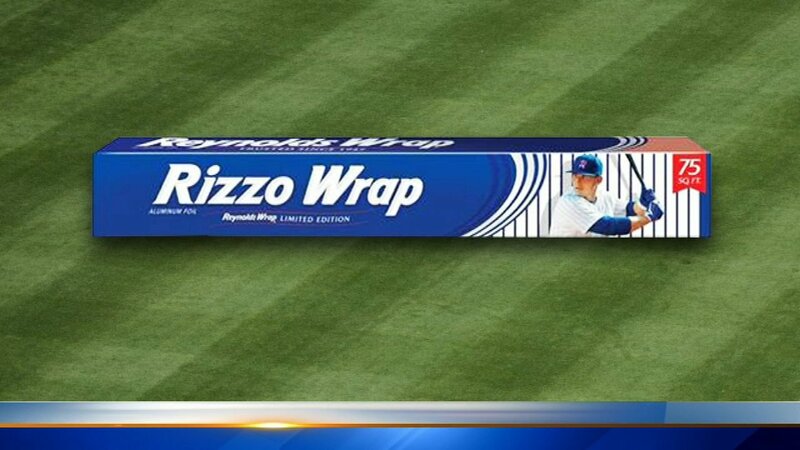 He bet the company that if the Cubs won the World Series, Reynolds Wrap had to create a foil just for him.